Why did I choose the harp? I was very young: I remember the singing harp on ‘Jack and the Beanstalk’ – or perhaps it was seeing a Harpist play in Sydney at Christmas one year. Now? I love the sound, the joy it brings myself and others, the beauty, the music. I hope you enjoy it also. Please look at my Upcoming Events calendar for some of my upcoming performances and happenings. In Finland, I studied with Leea Nikku at the Tampereen Konservatorio and Marjatta Haahti at the Sibelius Academy. In Australia, I completed my Bachelor of Music at the Australian National University, and a Graduate Diploma in Professional Music Practice at UTAS. In Canada, I studied with Judy Loman at the University of Toronto, and in England, I studied with Gabriella dall’Olio, Head of Harp Studies at Trinity Laban Conservatoire. In 2013, I performed for BeijingTV with the Seven Harp Ensemble. In 2010, we released our debut CD ‘Bolmimerie’, featured as ABC Classic FM’s ‘CD of the Week’. In 2006, I was awarded ArtsACT ‘Emerging Artist’ funding to perform in San Francisco. In England, I performed with Langham Arts at Royal Albert Hall, with University College London in Verdi’s ‘I Lombardi’ and with Fulham Opera in Wagner’s Ring Cycle. In Canada, I performed at Trinity St Paul’s United Church, with the University of Toronto Wind Symphony, all supported through Friends of the ANU School of Music grant funding. 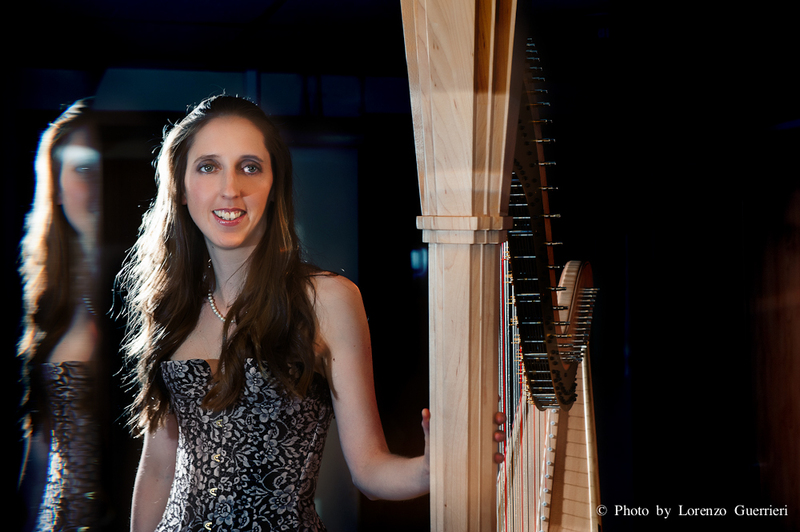 In 2010-11, I performed as Principal Harpist with the Tasmania Discovery Orchestra, the Festival of Broadway and Shakespeare Festival, and the Australian International Symphony Orchestra Institute. In Canberra (2001-2005), I was a Music Scholar at St Paul’s Anglican Church. I performed as soloist for Her Excellency Quentin Bryce in 2009, at the National Gallery of Australia, with the Mirramu Dance Company, and with Stopera in its production of ‘Jane Eyre’.